All the students and volunteers here at AMAUTA Spanish School in Peru will soon have the chance to experience one of the most unique and interesting cultural festivals near Cusco. Because next week we plan a weekend tour to the festival of the Q´eswachaka Bridge. This is a big traditional celebration for the local Peruvian people of the local communities – with little tourists and a very authentic ambience – that takes place every second Sunday of June. This year on June 8, 2014, hundreds of people from local communities will come together to help reconstruct this rare Incan Bridge. 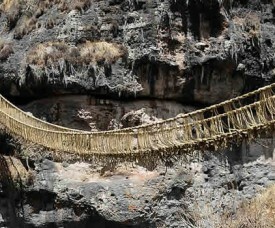 Made out of a special grass called “q´oya”, this bridge is the only one of its kind left today in Peru. Volunteering in an independent theatre in Buenos Aires: that’s something different compared to the majority of the other volunteer projects AMAUTA offers to participants of the Spanish and Volunteer Program in Argentina. While most projects focus on helping the underprivileged, this volunteer project takes place in the ‘’Hollywood of Buenos Aires’’: the hip arty in-crowd of the neighborhood Palermo. Here you can volunteer in a small theatre, which expresses independent art forms. It is a cultural center with a program of art performances, theatre plays and live music. In addition to this there are acting classes for local children in the afternoons. The place has the cozy atmosphere of a living room and a maximum of 80 spectators can enjoy watching a show or performance, while having some superbly prepared canapés by the in-house chef in the hands, compared with a good Argentinean wine. 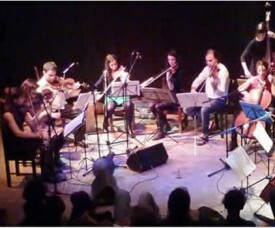 The shows are unique and the performers are encouraged to create personal interaction and let their creativity flow while on stage. When you volunteer in Buenos Aires (Argentina), the experience impacts your life forever. So is the case with Evelyn Hombrink. She is a 23 year old who works as an intensive care attendant in the Netherlands. She graduated last year and is currently doing volunteer work in Buenos Aires, in a shelter for teenagers and adolescents who have social or psychological problems and are therefore unable to care for themselves or live with their family. Evelyn is one of the participants of our Volunteer Program in Argentina; she first took four weeks of Spanish classes in Buenos Aires and after that she started to volunteer the shelter. It was April 13th, the big day had come. 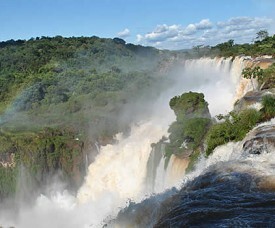 I would finally visit the natural world wonder that everyone describes as “Amazing” and lies on the border of Brazil and Argentina. Most of the people I met at Spanish classes in Buenos Aires and during my internship here, already went there and I had not heard one negative opinion about the famous Iguazu Waterfalls. Traveling by VIP Cama Suite (the most luxurious touring car) was also on my to-do-list for Argentina, so I decided that this 18-hour trip to the north of Argentina would be the perfect opportunity. It takes a bit more, but is definitely worth it. The Best Vegetarian Restaurants in Cusco, Peru! Peruvian cuisine has a lot of delicious dishes and fortunately not all of them contain meat or fish. 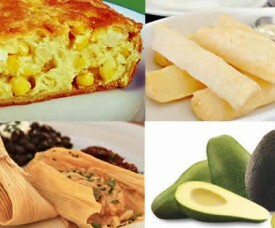 There are actually many really good vegetarian options with maiz like ‘pastel de choclo’, or tamales, yucca, sweet potatoes, tallarin al horno, starters with avocados, ‘sopa de zapallo’ (squash soup), or locro de zapallo. And of course we have the recently discovered super-food, the Peruvian quinoa, which can be used in soups, salads, instead of rice, and even in sweet dishes and desserts. Most Spanish students staying with a local host family in Cusco during their Spanish courses, are pleasently surprised by the variety of vegetarian options Peruvian cuisine and their host mums offers. Also our chef cook at the student residence provides excellent vegetarian options. “I had always wanted to do volunteer work outside of my country. It thought it would be really interesting to see how people work and live, and I also wanted to get to know another country in a different way. I choose Argentina and I wanted to spend time in Buenos Aires as a resident and not only as a tourist or Spanish student only. Moreover, I wanted to have new experiences and try to help other people that need support in their life. AMAUTA/Elebaires in Buenos Aires gave me this opportunity and offered me a placement at an organization where I would be volunteering for six months. Not all students and volunteers here in Buenos Aires stay that long, there are also short term volunteer placements in Argentina. 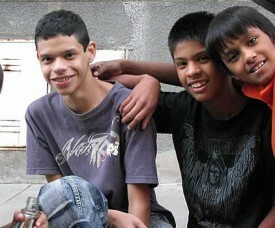 I worked at a home for women with children that live in the street in the neighborhood of Nuñez in Buenos Aires. Approximately twenty women and forty children live there with a few nuns that take care of the mothers. The women stay for a year while looking for a job and a place to live. 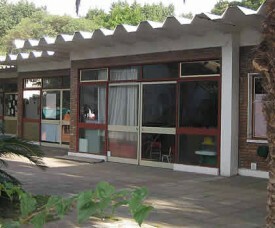 The home looks like a convent, it is spacious and there is a patio with a small kids´ park. Next to the home, there is a kids´ garden, that also forms part of the shelter.